Traditional slip joint folding knive with 8Cr13MoV stainless steel blades and jigged bone handle scales. An offer you can't refuse. The Browning Joint Venture is a winning proposition that you'll love as your every day carry knife. Traditional slip joint folding knive with 8Cr13MoV stainless steel blades and jigged bone handle scales. An offer you can&apos;t refuse. 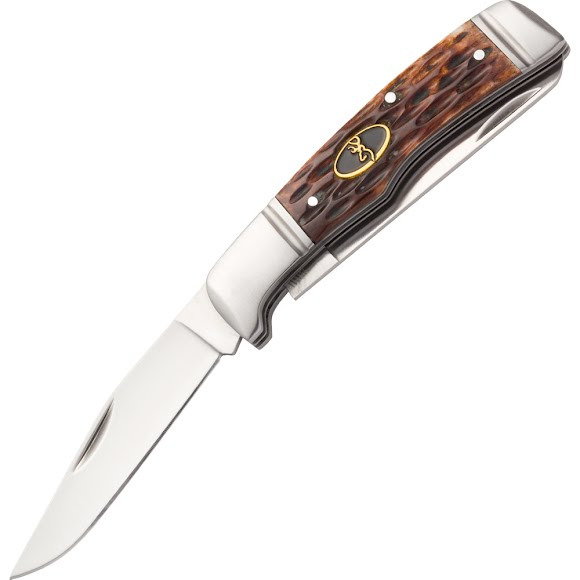 The Browning Joint Venture is a winning proposition that you&apos;ll love as your every day carry knife. Blade Length Main Blade Length 2"